From left, Coun Peter Jackson, Daljit Lally and Coun John Riddle. 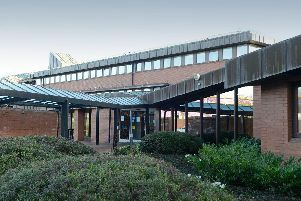 The legal dispute between Northumberland County Council and a property company rumbles on as the latest batch of papers is lodged at the High Court. And the developer has this week maintained that there is ‘a compelling case to answer’ as it responds to the local authority’s defence case. Newcastle-based Lugano has made a £10million claim against council leader Peter Jackson, cabinet member for planning John Riddle and chief executive Daljit Lally, as well as the local authority itself. The company’s case is that the trio have acted improperly and unlawfully in relation to its planning application for the Dissington Garden Village (DGV) – up to 2,000 homes and other facilities near Ponteland. It says their actions, amounting to misfeasance in public office, have caused Lugano a serious financial loss and the developer is seeking damages. As reported in September, the particulars of the claim set out the alleged chain of events through which those involved sought to thwart the DGV. It is claimed this was done by seeking the reversal of the previous minded-to-approve resolution for the DGV through the withdrawal of the core strategy – without providing councillors all of the relevant information – and subsequent pressure on the council’s planning department, culminating in the former head planner, Mark Ketley, leaving his post. The defence for the individuals as well as the council was then lodged with the court last month. The response on behalf of the trio says that ‘the allegations of bad faith made against them are vexatious and without foundation’. It also says that the particulars of claim ‘constitute an abuse of process’ by including the three individuals when they could and should have been brought against the council alone. The council’s defence says that the claim against the council ‘is one that is bound to fail at any event’. Now, Lugano has filed its response to the defence papers from the council and the three individuals, whose legal case is being paid for by indemnities agreed by the local authority. Lugano Property Group chairman, Richard Robson, said: “We have genuine concerns that various members of the council are only being selectively supplied with information and would urge all councillors to access the full documentation – all of which should be accessible via the council’s legal department and, if not, we are willing to supply – so members fully appreciate the seriousness of the case and its implications for the wider council. “Our legal team and QC have now issued a detailed reply to the defences of the council and three individuals and copies of those documents are now publicly available. He added: “We are also aware of a number of other cases that have arisen recently that evidence issues of improper conduct and behaviour of the utmost seriousness within the council. What is of even greater concern is that these issues seem to centre on the same individuals within the authority. The council has repeatedly said that it has acted reasonably and lawfully, and that it continues to work with Lugano on its live planning application.